100% NATURAL It took many years of intense research to create Arterial Cleanser. 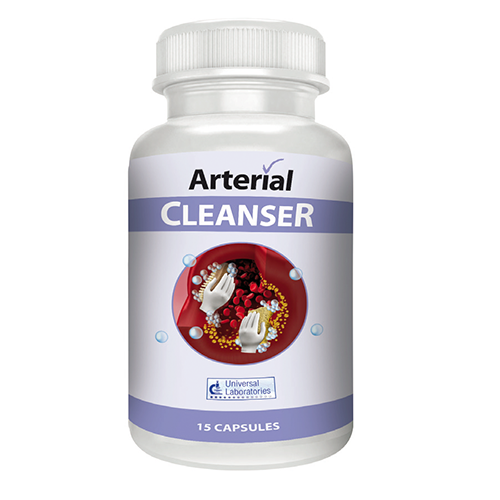 Arterial Cleanser contains only natural active botanical extracts. Our unique combination of Flaxseed Extract, Green Tea Extract, Cinnamon Bark Extract and Red Rice Yeast Extract gently carries out deep seated cleaning of your vascular system. Microcrystalline Cellulose, Flaxseed Extract, Capsule Shell: Gelatin, Green Tea Extract, Cinnamon Bark Extract, Red Rice Yeast Extract, Magnesium stearate, Silicon Dioxide.